These sessions are led by Laurie Seddon. Laurie is an experienced Primary School teacher and Level 3 Forest School Practitioner with full specialist insurance for Forest clubs. He leads the family bushcraft session which are intended to enable people to enjoy the outdoor environment in a fun yet harmonious way. All staff involved in the family bushcraft sessions have DBS clearance. 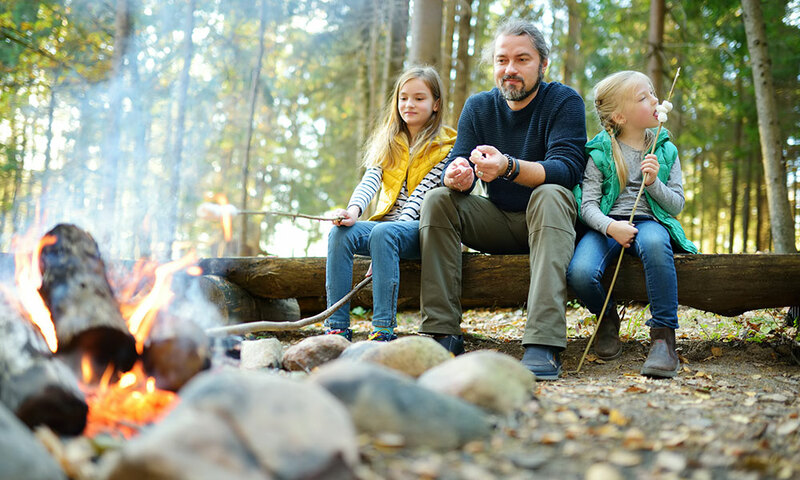 The Family Bushcraft sessions are a brilliant opportunity to spend time with your family and friends learning bushcraft skills or to treat your children and their friends to an exciting woodland experience. The price of these sessions enables up to six children/adults to take part – if you would like to include more people in your group please ask us for details. The sessions can be adapted for a range of different needs and include a variety of seasonal activities. They are mainly intended to enable children to develop their outdoors skills in a relaxed and fun environment. However, the activities are also suitable for adults and are a great way of enjoying learning new skills and spending time outdoors alongside the children. They take place in our farm woodlands. Days can be arranged for weekends or during the school holidays, from age 3 upwards. If you would like further details about Family Bushcraft days in Garstang, Lancashire then please call us on 01995 605804 or email us on hello@humblescoughfarm.co.uk.